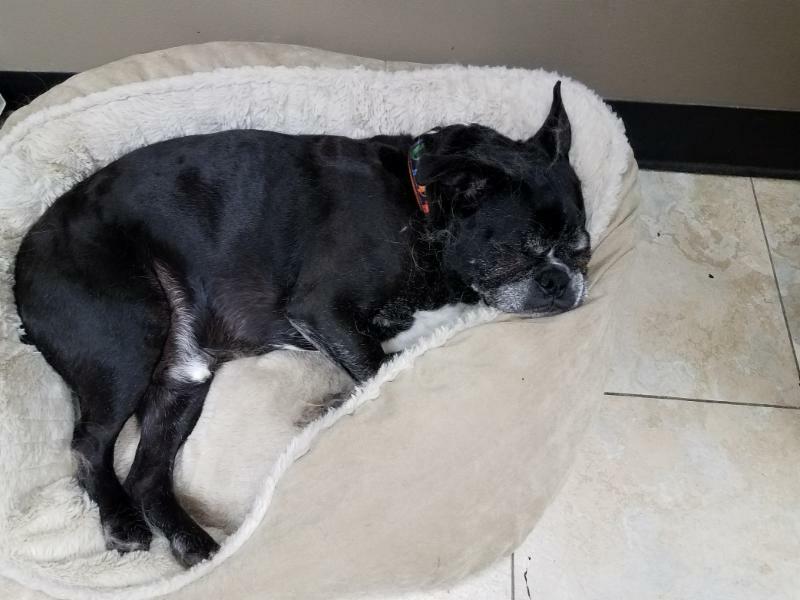 Canine Influenza: What You Need To Know Now! At this time of year most people aren't thinking about the flu, especially canine influenza. In June a serious outbreak of canine flu occurred, which began at a dog show in Florida. Since then, eleven states have confirmed cases of the flu and 4 dogs have died. Canine flu is dangerous and can be deadly if not treated immediately. If your dog is experiencing any of the following signs you should contact us for a professional health assessment. Canine flu is transmitted by aerosolized respiratory secretions (e.g,, coughing, barking, sneezing) as well as fomites (i.e., contaminated objects - e.g., kennel surfaces, food and water bowls, collars, leashes). During the summer, the risk of exposure increases as dogs are in contact with other dogs at dog parks, kennels, and dog shows. Don't allow your dog to have close contact with other dogs or dogs unfamiliar to the family, especially dogs that are sneezing, coughing, or have traveled recently. Don't allow your dog to share food and water bowls, toys, or blankets with other dogs because these objects could be fomites for pathogens. Get your dog vaccinated. If your pet will be spending time at dog parks, traveling with you on vacation, or attending dog shows, have them vaccinated now. Wash or launder items before returning home to help decrease contaminated. Vaccination can reduce the risk of a dog contracting canine influenza. Vaccination may not all together prevent an infection, but it may reduce the severity and duration of clinical illness. If you feel your pet has been exposed and exhibiting the symptoms mentioned above, schedule an appointment for a checkup. We want you and your pets to have a happy, healthy summer. 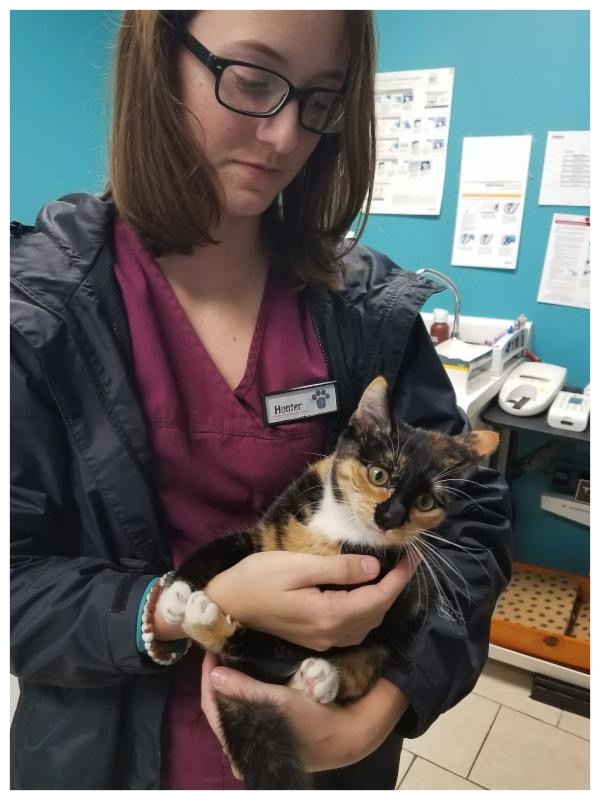 Finding your true career path while following another is how Hunter, our Employee of the Month, decided to pursue her love of veterinary medicine. 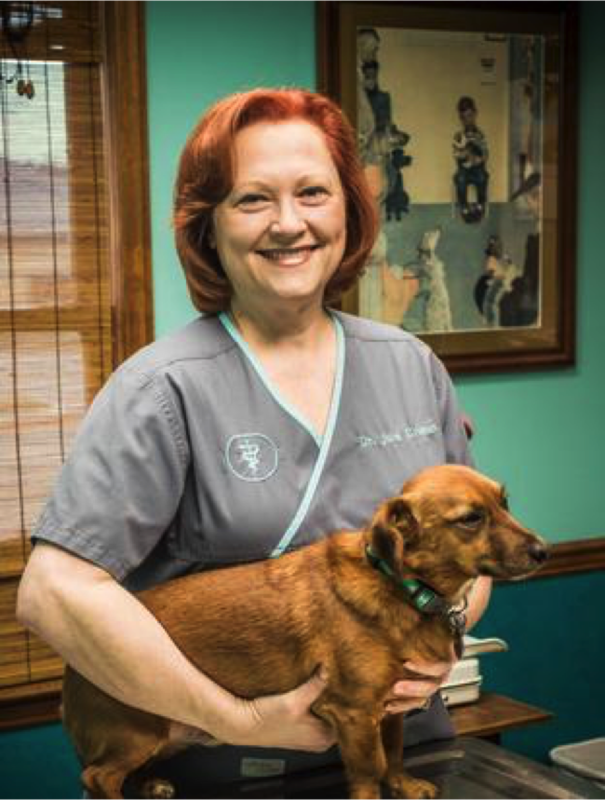 While studying for a degree in Criminal Justice, Hunter worked at Altadena Valley Animal Clinic. After 2 years at AVAC a new direction became her passion, and now she is enrolled at Jefferson State Community College to become a Licensed Veterinary Technician. Hunter was born in Montgomery, Alabama, spending most of her life in Sylacauga. She attended Sylacauga High School and later enrolled in Central Alabama Community College. She had planned to follow in the footsteps of many family members who had careers in the justice system. However, working at AVAC was the spark she needed to follow her real passion. Hunter married Tyler Parsons in October; they have 3 dogs and 2 cats. 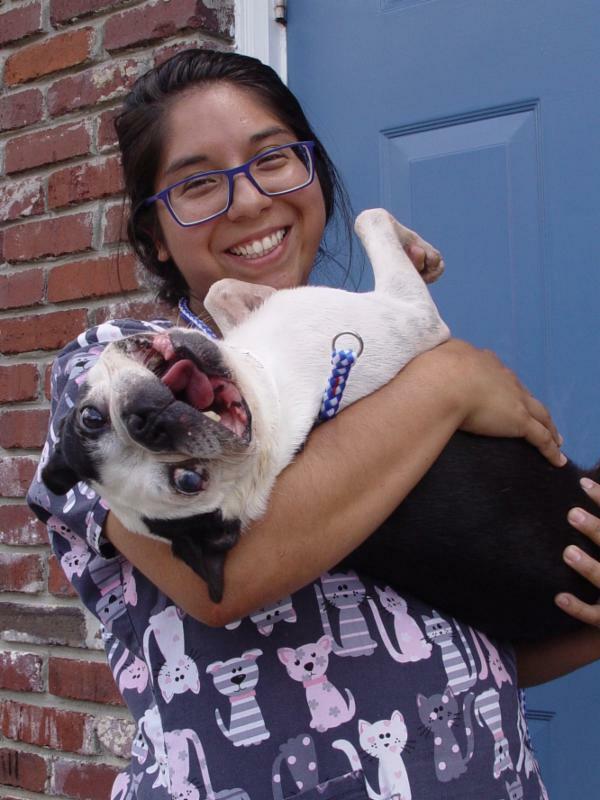 She volunteers with the Greater Birmingham Humane Society and participated in Birmingham Boston Terrier Rescue's Do Dah Day event. In her free time she house sits for pet owners. We're proud of Hunter and her passion for pets! Sahara spoils Lily...and all our furry friends. Tiger Jake Earns His Strips...and He Loves It! The recent SEC Media Day event in Birmingham was host to heavy weights of Southeastern Conference football. This year a new face entered the media fray, Tiger Jake, the Maltese service dog of Ron Sanford. 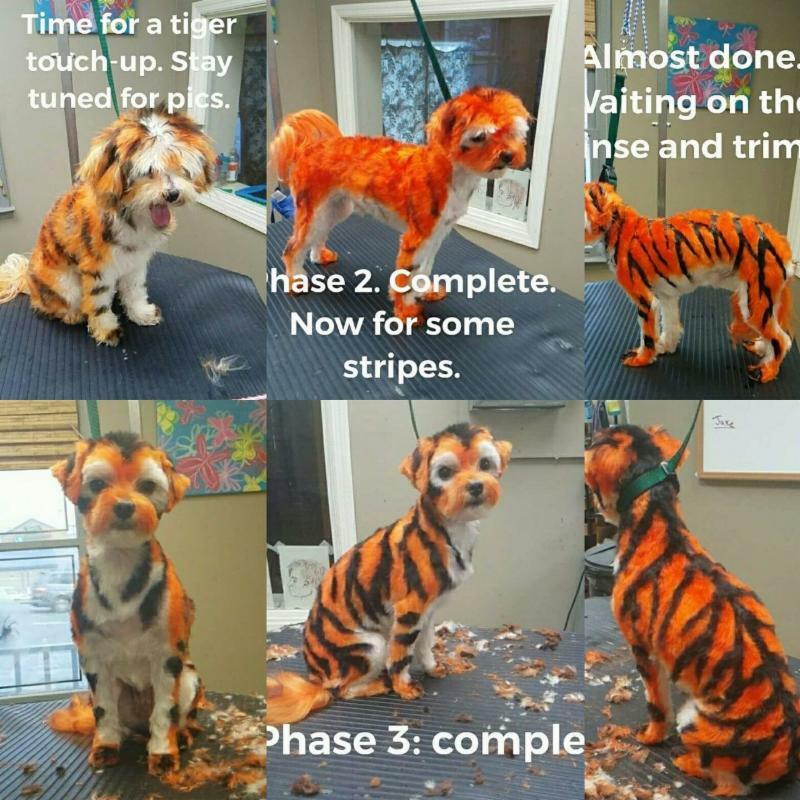 Tiger Jake gets his awesome paint job every eight weeks at Altadena Valley Animal Clinic from our professional groomer Angie Bullock. His coat is painted with a special, non-toxic, pet-friendly paint that is safe and approved for pet use. The coloring process does not irritate or bother Tiger Jake. In fact, he loves all the attention he gets during the process. 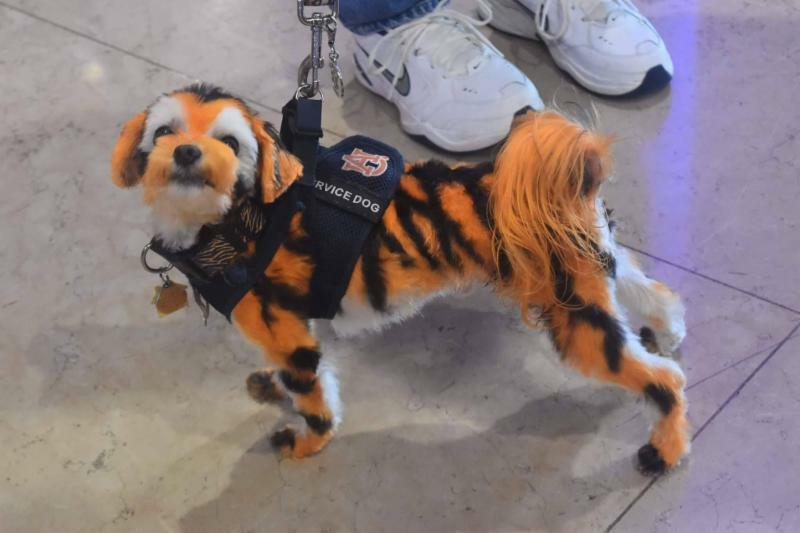 Tiger Jake attends Auburn football games and can be seen at other Auburn sports events. For more information on Tiger Jake - check out this news footage from WBRC. 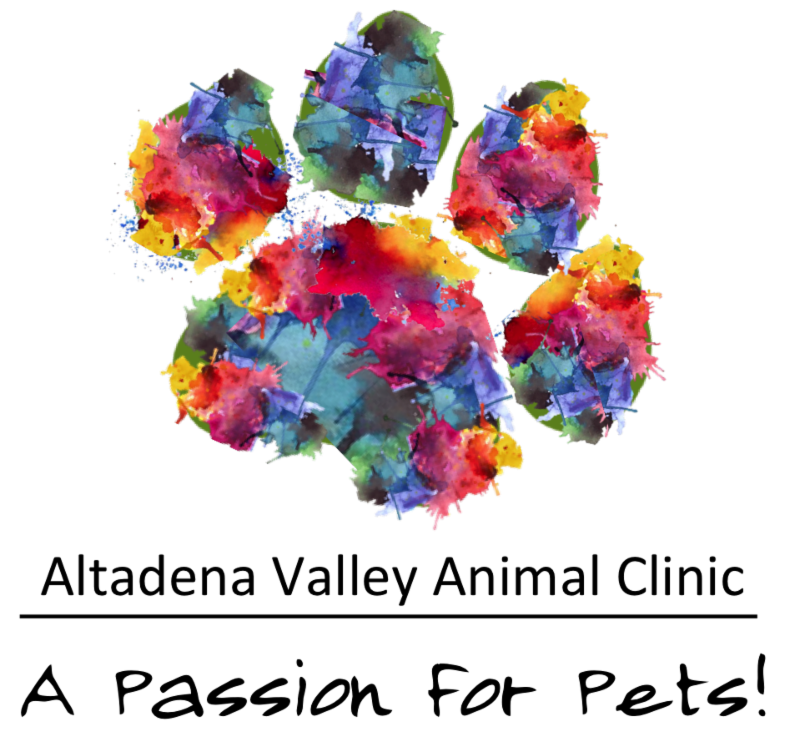 If you're interested in custom color dyes for your pet call us at 967-7383. Interested in dog and puppy training classes? Contact us at 967-7383 for the latest schedule. 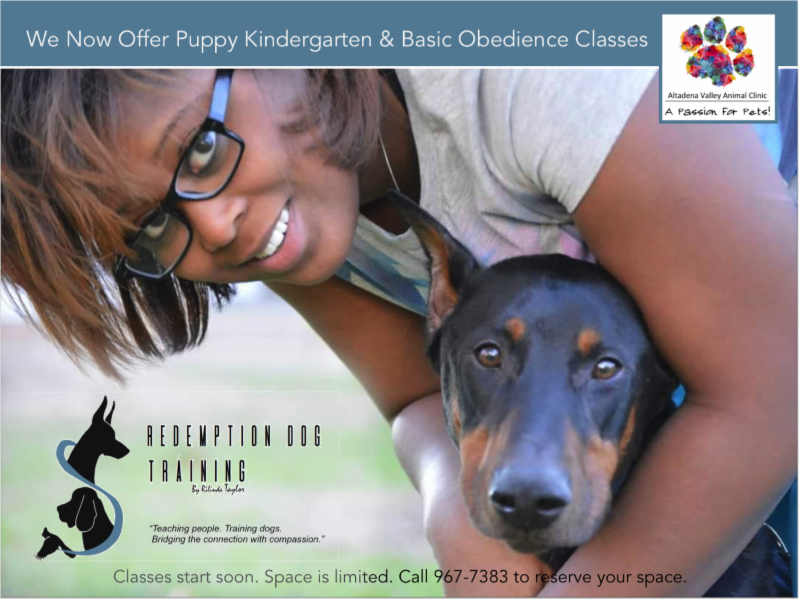 Rilinda Taylor, professional trainer and owner of Redemption Dog Training, is a very hands on, results oriented trainer with years of experience. 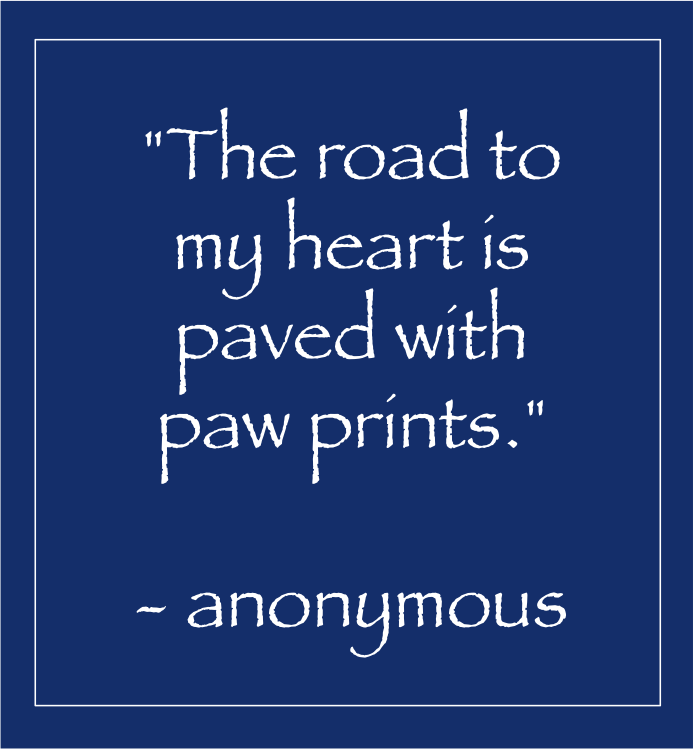 Contact us today and give your dog the training they need to be safe, happy, and obedient.